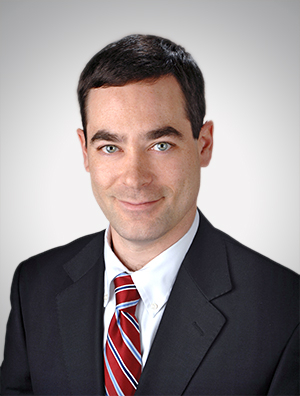 Greg Sitrick is an intellectual property attorney focused on both being a businessman and litigator for his clients, as well as an advisor and technician. He helps clients prioritize their needs and figure out an overall game plan for their IP, rather than simply covering the legal aspects of IP prosecution and enforcement. Greg counsels his clients on what to accomplish first, what to hold back for the time being, how to allocate resources, and how to build IP plans for the long term. When clients need to litigate, Greg is an equally reliable resource. His combination of business sense and litigation skills makes him an excellent partner for any client whose IP represents its greatest assets. His experiences allow him to counsel on a variety of issues from small nominal matters to large bet-the-company type matters, with clients ranging from barely funded start-ups to international multi-billion dollar corporations. His clients see him as a business partner, and voted him a BTI client all-star in 2014. From day to day, Greg assists his clients with all aspects of intellectual property-related rights, from procurement, enforcement, and maintenance of patents, trademarks, and copyrights, to protection, enforcement, and defense against infringement, trade dress, trade secret misappropriation, unfair competition, and unfair trade practices. He develops creative solutions so that his clients can obtain, license, protect, and enforce their intellectual property rights. Before attending law school, Greg earned a degree in Electrical Engineering and then worked for Intelligent Resources Integrated Systems, U.S. Robotics/3COM, and MPC Products Corporation. He has hands-on experience with video technology including green-screen technologies and MPEG authoring technologies, communications technology including modems and communication devices, and aeronautical/aerospace engineering technologies such as components and systems for fighter jets, space shuttles, commercial aircraft, military helicopters, tanks, and GPS-guided bombs. As an electrical engineer, he prosecuted patents on behalf of his employers even before he became an attorney. He is even a named inventor on a patent himself and has a passion for protecting the intellectual property of inventors, and helping them to utilize IP property as an asset. Named a 2014 BTI Client Service All-Star by The BTI Consulting Group, Inc.